One of the big phenomenon we encountered in the past few years was the craze for fried chicken. Not just any fried Chicken.... Nashville Fried Chicken! 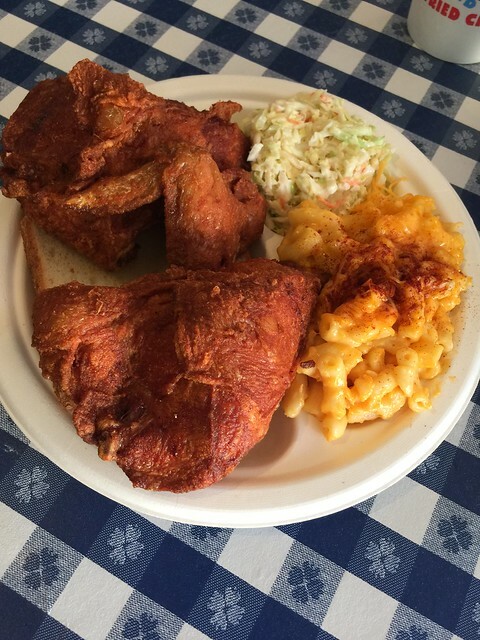 What is so special about Nashville Fried Chicken? Is it the hotness? Spicy? Red hot to your tongue kind of chili hot spicy? I think the Colonel just got into that for all their chains of fast food joints and for some reasons even the fast food burger joints got into the act of offering these delectable craze. In one sense to be honest I'm not totally sold on it... just yet. However, I do want to savor different type of chickens recipe the southeast has to offer. Interestingly, I'm about to get that chance finally when one of the more revere chain from Tennessee is coming to town. Gus's World Famous Chicken is a good place to start. It originated from the back of a tavern where a couple used to sling their famous two piece with a bread, side of beans and a slaw. As you can tell by where I am going with this story, their success would lead to expansions to other parts of the country including Texas, Georgia, and the midwest. When they finally opened a few years ago in LA, I still wasn't too keen on wanting to make a trip to a part of the town I loathed to go (one in the valley and one in the southwest area). People in LA understands me ... when traffic on the long freeways and congested road are involved. Luckily one opened up in a more down to earth part of Long Beach where it's a bit easier and ample parking to boot. In a very nice way of describing, they still kept some of the charm that a tavern would looked like. A few telies showing the sports games and a checkered table cloth decorating the tables in a cozy dimmed atmosphere that would behooved a saloon somewhere in the country side. Why did I fancied fried chicken for dinner? To be honest, I guessed I'm still thinking deep fried is still a work of art that culinary snobs treat it as easy to make with no real difference. Chicken is chicken for many people out there. It's still the cooking preparations to cook this poultry and the recipe of the spices on these batter to give either crisp on the skin or the flavor on the meat when it's served red hot. That's where the moment of truth comes to play when I came into this establishment. Let's get it out the way, for a chain... this was hands down the best fried chicken I have had in a long while. The flavor is not that hot as in burning hot. It doesn't numb your tongue like some of the other Tennessee or southeast chicken would do. This was all about capturing the essence of aromatic flavor for the skin and let the juiciness of the meat speak for itself. The juiciness of these fried chickens on the bone was mouthwatering and the temptations can be hardly feigned off for your a few of your senses. If there any senses, you would give up, lose the ears because the taste bud, smell, and sight are totally needed for this dining experience. I personally skipped the beans and substitute it to a mac n cheese, but kept the slaw for my sides. I think they both played well. The fried okras I got was a burgeoning success I thought. With the ranch for dipping, those okras are an excellent mouth poppers. Value for value, how does it compared? Being truthfully told, this place might rivaled some of your more posh dining restaurants in town. 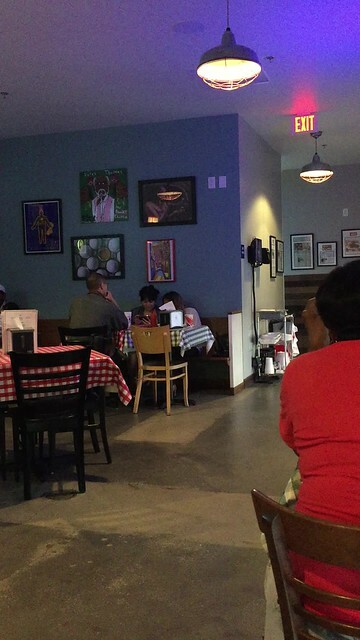 Their "snack box" of 10 pieces of fried chickens will set you back a good $30 in this Long Beach establishment. That is almost three times the amount the Colonel is charging for their bucket special down the street. 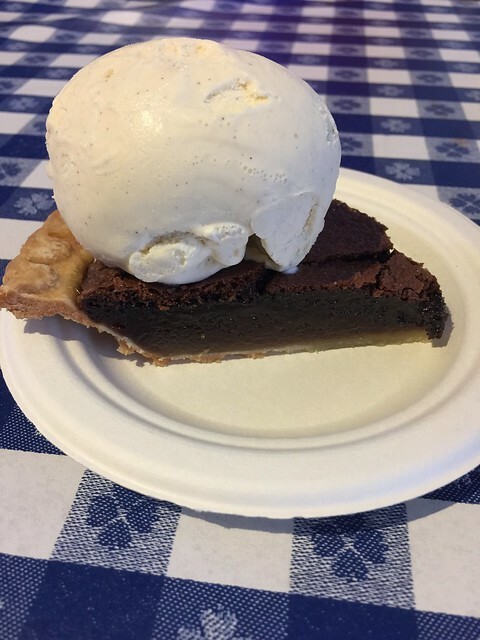 Before I forget, you must get their chocolate chess pie when you get the chance. That itself is a spectacular masterpiece itself. Here's the question on the top. Was this considered to be Nashville Fried Chicken? Am I believer? I think if this is the representative of what a southeast variety of fried chicken should be, then I would be squarely on their side. Definitely will continue to be purveyor of the fowl devourer. Trust me, your wallet might not like it, but your tummy will thank you for it. What's worse? Your taste bud might request you to make another order.